Modeling Hiker Exposure to Natural Sounds and Quiet in the Tuolumne River Watershed | Resource Systems Group, Inc.
Tioga Road is a National Scenic Byway that passes through the Tuolumne River Wild and Scenic River watershed in the heart of Yosemite National Park’s high country. 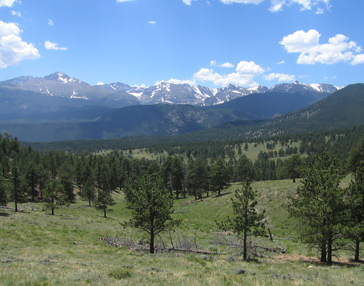 The road provides access to trailheads, a campground, and other high country destinations in the park. Moreover, Tioga Road provides outstanding opportunities for scenic driving, which is among the most popular visitor activities in Yosemite National Park. However, results of visitors surveys conducted in 2012 suggest that hearing the sounds of nature was among the most important reasons for visitors to hike and camp in the Tuolumne Meadows area of the park, and that vehicle noise detracts from the quality of their experience. RSG worked with the NPS to develop information to support soundscape planning and management in the Tuolumne River watershed within Yosemite National Park. 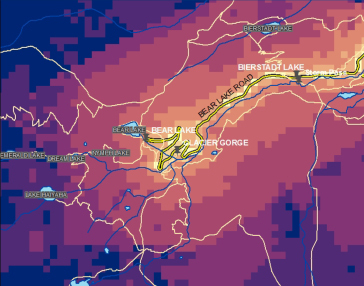 In particular, RSG developed roadway noise models to map the spatial extent and intensity of roadway noise originating from Tioga Road and propagating across the park’s landscapes. 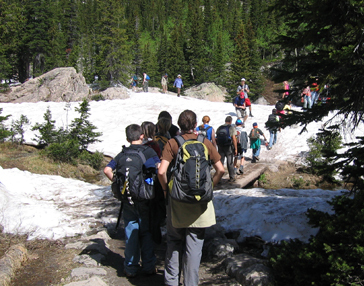 RSG integrated information from the roadway noise models with GPS-based hiking track data to model visitors’ exposure to roadway noise, natural sounds, and quiet while hiking in the park.